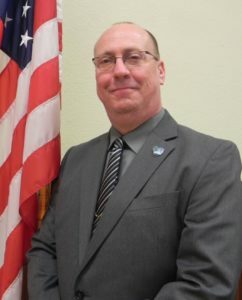 Tuesday night’s special city meeting concluded with the appointment of Assistant City Manager Fred Bell as San Benito Interim Police Chief in order to oversee an Internal Affairs Investigation into the police officers involved in the shooting and death of Rick Treviño III on Dec.7. The names of the six San Benito Police Department officers involved in the incident were also published in a press release from the city. The officers included Police Chief Michael Galvan, Manuel Alvarez, Victor Espitia, Oscar Lara, David Rebolledo, and Jose Santos. Texas Rangers, under the Department of Public Safety (DPS), continue to investigate the matter, and according to the city’s press release, the city and officers involved in the incident have cooperated fully with the investigation. The city’s reason to launch its own internal investigation, according to the press release, is its belief that the DPS investigation will take longer than April 2019 as previously expected. Under Civil Service law, internal affairs investigation must be initiated within 180 days of the incident, meaning the city was running short on time to meet that deadline. The city has thus formally opened an internal affairs investigation and will proceed under its own authority while using its own resources to assess whether officers involved in the police action complied with policy and operational rules and regulations. The subjects of the investigation will be the six San Benito police officers involved in the shooting. According to the press release, the officers in question will remain on limited active duty status until the conclusion of the internal affairs investigation and the City Manager Manuel De La Rosa’s decision and/or Civil Service Board ruling.